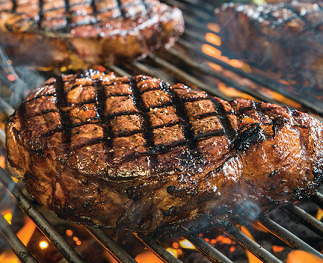 This Grilled Rib Eye Steak Recipe is an uncomplicated pleasure and great summertime tradition for many people. This is so good — and so simple! After working at the restaurant and with food all week long, sometimes I really want something that is simple to prepare, but also delicious. My husband and I often use this very simple recipe with a fabulous cut and grade of beef. It's delicious. Who can resist a delicious steak? 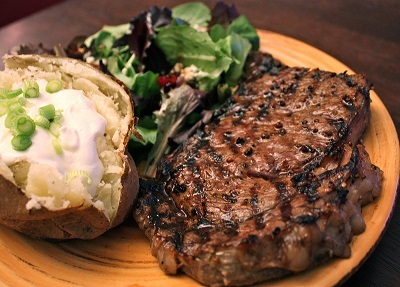 The steaks need to marinate for at least 30 minutes, an hour or two is even better. Plan ahead. And ...eating steak (beef) has many benefits. But don't take my word for it. 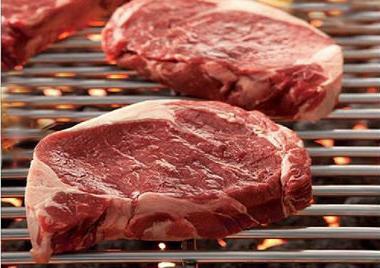 Read the research :"31 Science-Backed Health Benefits of Steak." Marinated, salted, peppered. Ready to grill . Preparation time: 8 minutes. Serves 2. Serve this steak with some grilled vegetables and/or potatoes and a salad of mixed greens with Balsamic Vinaigrette Dressing and you will have a delicious dinner. 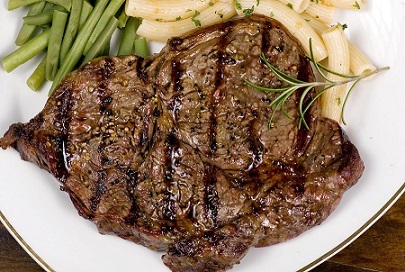 Enjoy your Rib Eye Steak Recipe and the company of those you share it with!